“मातृ देवो भव् पितृ देवो भव् “… (Taittiriya Upanishad) means Respects to Mother and Father. 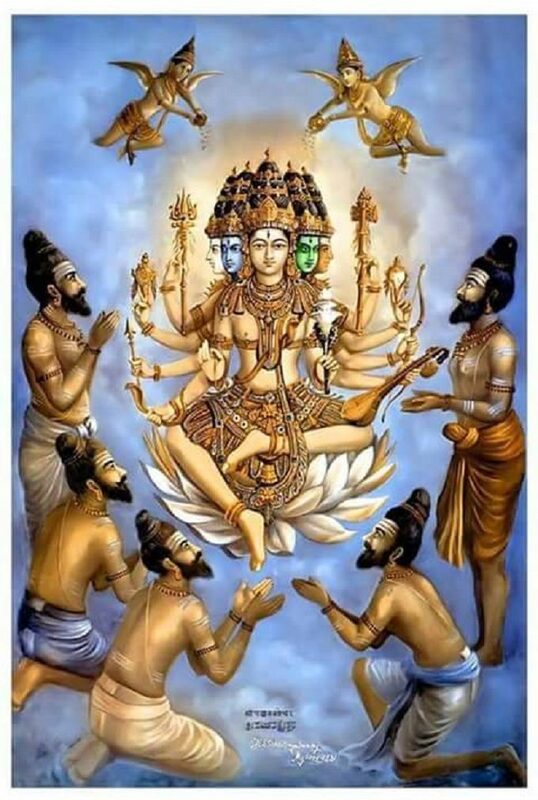 They are all forms of God. I believe they are the only living gods we see in our life. I am dedicating this article to my inspiration,friend,philosopher and guide – My Father. He was a fourth child among six siblings born to educated farmer. His parents and my grandparents Narayandas and Gangaben were a happy couple, working hard to raise their family with very small pack of land inherited by forefathers and were living in my native village Karbatiya (Ta. Vadnagar , India). I heard from my father that his parents had to sell their most of their belongings over the time to give their kids a good education. 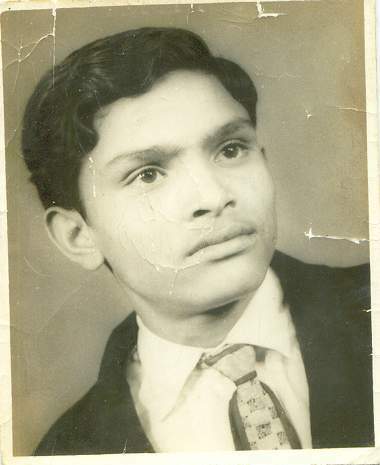 My grandfather always believed that the education is the only way to transform to your spiritual and socio-economic status.The same belief percolated into my father due to his real life experiences.The respect and love for his parents was great.He did anything he could do to make them feel cared and loved. I rate him dedicated and responsible son. A person being emotional , family , friends and native place lover was very popular in every community of our native village. Even today his friends still tell us his stories about all the mischief they did together and also how academically brilliant, handsome (actually people called him Rishi Kapoor in his school/college days) and brave was he? that makes us feel proud. I have seen his friends cried for him when he left us forever.Members of every community came to his funeral.That showed the love he received from his friends and community and vice versa. I consider his love for his siblings and their kids was very sacrificial however it has never been appreciated. My cousins still recognise and accept the fact about his solicitude to our big family. His love and respect to my mother was just phenomenal however he admitted that he could never give everything she deserved due to his illness and other commitments. He expressed regret in front of me in his last days that whether he could ever give her anything back what she has sacrified for us. We two brothers of course were jewels of his eyes. His way to love us was quite a different.The discipline and health were main themes in his affection.We were denied other food if would not eat any healthy stuff like bitter melon :). A good thing was that he just motivated to be excellent at whatever we do regardless of type and level of work.That made us more pressure free in our career paths. The bedtime stories he told us included the stories of Ramayan,Mahabharat and Indian independence.Further he nurtured our hobby of reading and my natural fine art skills. As a Mukhya Shikshak at RSS Shakha (http://en.wikipedia.org/wiki/Rashtriya_Swayamsevak_Sangh), he took us there every evening.That encouraged our self-awareness of nationalism, morality, duties, leadership, equality and physical fitness. His teaching on moral values was practical, one of the real life experience when we kids bought chocolates from the shop and the shopkeeper returned us more change than it should be,we were happy kids because we got extra money by somebody’s mistake but eventually we had been brought back to the shop and told to return the extra bucks.We didnt like that initially but we felt respect about ourselves and our father for doing the right thing. His motivation on our failures still reminds me that how positive was he.On the failures in the life exams and having the greatest disappointments, he usually said “you will have many other chances,this is not the end of life,on positive side you still can learn from your failures.”, to be honest he was damn right. Despite of his on and off 15 year bedridden illness , he was full of positivity and spirituality.He never got depressed because of his deteriorated health and eventually financial and other opportunities in his life. I don’t know where did he get that energy from? He always believed in “Law of Karma”. He always said that the reason of his suffering might be his Karma from his past life. He preached us to be conscious about our Karma and we are trying to be very conscious. We are taking our health very seriously because he gave his own example about how health is the real wealth.On kids development he used to say , “parents are the only best teachers in the world and we can’t just transfer our major responsibility of values and academic education to the kids’ school teachers only.”He used to say make good and long term friends and love them without any expectations. I don’t know what people would have ever recognised him – just by his financial success or by his status? but for us he was our teacher, motivator, philosophical friend and a great father. Would we ever be able to give such a wealth to our new generations? Would we be able to do such a great sacrifices for our parents ? On his birthday today (23 November) he would have completed 60 years and we would have celebrated his Shasthi Poorti (http://en.wikipedia.org/wiki/Shashti_Poorthi).Unfortunately he is physically not with us since December 2007 but spiritually,by his thoughts and ideology he will be will us forever, generations to generations. Love you dad and we need you today for ourselves and our kids.We acknowledge and appreciate your importance in our life. We know you are smiling and blessing us from the sky as Pitru (http://en.wikipedia.org/wiki/Pitrs).